Isn’t life grand when we are feeling healthy and strong? During these wonderful phases of life it is easy to ignore the fact that we are aging, regardless of how chipper we might be feeling at the moment. We can’t imagine ever encountering a serious illness or medical setback that could bring our glorious feelings of wellness to a sudden halt. The reality is, however, that this will indeed happen to all of us at some point in time. When it is our time to navigate a difficult health condition or problems related to aging it is good to know what options exist to help us with our daily needs. Basic tasks that we take for granted may be suddenly outside our ability to complete. Loneliness and isolation can also worsen our declining health by adding a layer of depression on top. 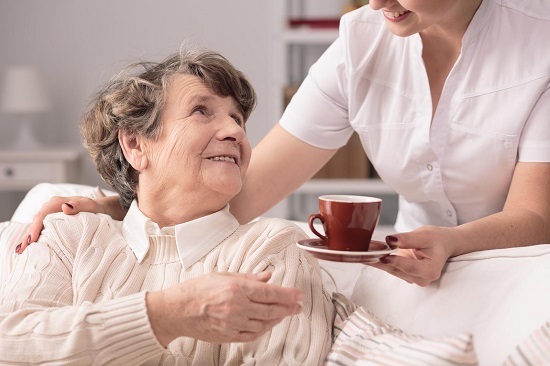 Finding quality home care assistance Beverly Hills is key to preparing for recuperating or simply functioning within the comforts of your our home. Let’s face it; being stuck in a sterile hospital, poked and prodded day and night in a noisy and stressful environment, is not conducive to healing. Our bodies need peace and quiet to properly heal from the after-effects of surgery or illness. 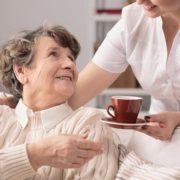 When it comes to just getting some extra help as the aging process starts to inhibit both mobility and the ability to perform daily tasks, most people would also prefer their own home to an assisted living home. Home sweet home is always where the heart wants to be. When faced with a turning point health situation, why not consider home care assistance? Research has shown that our mental state is intrinsically connected to our physical wellbeing. Feelings of depression are common among older individuals and that can negatively impact physical health. Why not improve one’s emotional state by healing or aging at home, versus an institutional setting? Home health assistance brings the caregivers to you. Private duty nurses, including nurses who specialize in cancer care, elder care, detox, and hospice, can provide discreet medical care to you in the privacy and comfort of your home. These nurses provide the same or even better quality of nursing care that one would experience at a nursing home, assisted living home, or hospital, but do so at your place of residence. In addition, the home care providers can also offer feelings of companionship and emotional support. Your family and friends have easier access to you, and the home setting provides a more comfortable setting for visits. What Services are Included in Home Health Assistance? Kinkaid Private Care offers private duty home nursing care for individuals in need of elder care, post-operative care, drug or alcohol detoxification, cancer care,or hospice care. By staffing only the most highly trained nurses and specialists, Kinkaid Private Care can ensure the highest standard of home health care available. Kinkaid’s private nurses are trained in oncology, hospice, surgical wound care, medication management, detoxification services, trauma injury care, and much more. In addition to the medical support, Kinkaid Private Care also offers concierge holistic therapies for their patients. Being dedicated to providing compassionate medical and emotional support within the comfort and safety of home is our primary goal. For more information about all the nursing services Kinkaid Private Care offers, please contact us today at (877) 388-6373.